Friday, May 29, 2015 at 07:00p.m.–Sunday, May 31, 2015 at 12:00p.m. 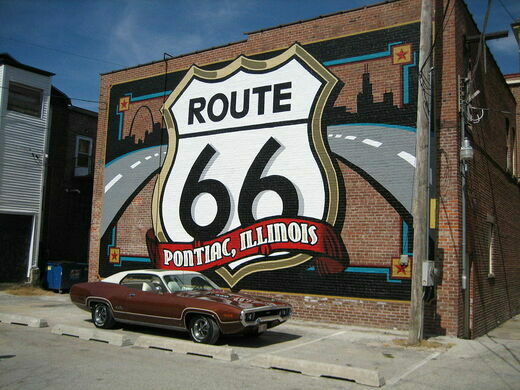 Route 66 maintain's its status as "the road that must be driven." 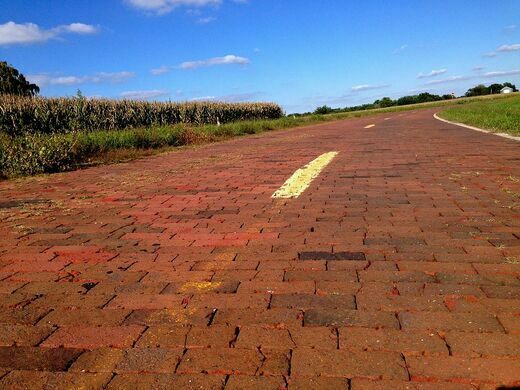 Though it's been largely supplanted by the country's Interstate system, large portions of the road and many of its relics remain. 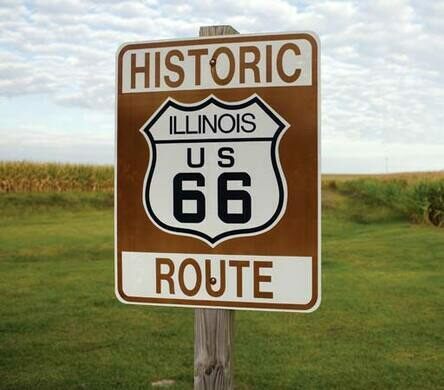 We'll be taking a weekend-long trip from Route 66's start in downtown Chicago on Friday night with a short walking tour and gathering at a local watering hole. On Saturday, we'll start bright and early in Joliet, home of the first Route 66 museum and Joliet prison, where we'll stop to have a visit with Jake and Elroy. 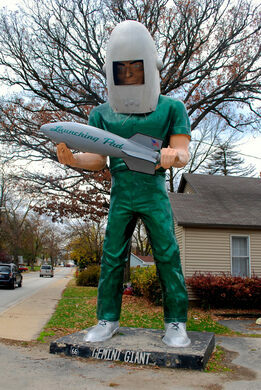 From there, we'll wind through small towns with time spent on the actual Route 66 when possible. 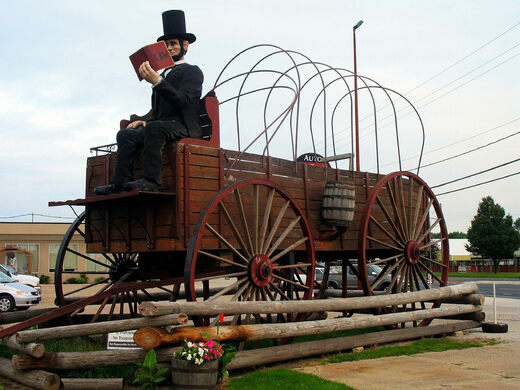 We'll have frequent, short stops at roadside giants, historic gas stations, unusual museums, and many signs of our nations transportation history. 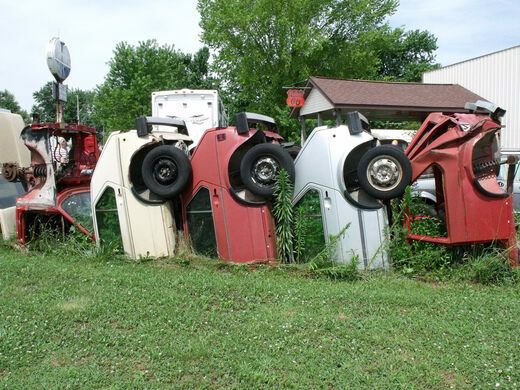 We'll also explore some of the more curious things on the route that may not directly relate to Route 66, but are worthy of some attention. 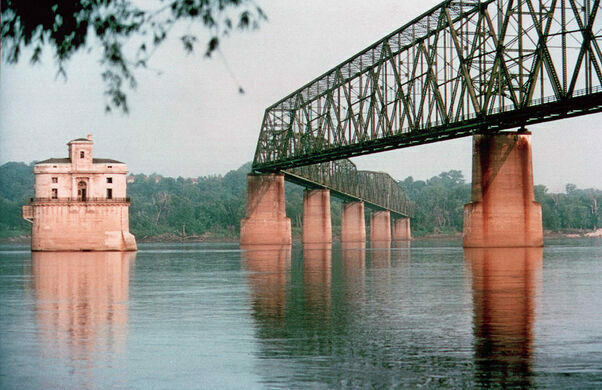 Sunday sees us in the home stretch as we explore the small towns and ancient (really) villages leading us to our conclusion at the Chain of Rocks bridge crossing the Mississippi River. You can join us for any portion of the trip you'd like. Just Friday? Just Saturday? That's fine. You'll receive detailed route information and other materials when you sign up for this tour. All Atlas Obscura events are included. You're responsible for your own transportation, insurance, hotel, movie tickets and meals. For safety, we will not be traveling in a convoy. There will be meeting times at each attraction. We will be done at Noon on Sunday at Chain of Rocks Bridge. It's about 5 hours to Chicago from there. May 29, 30, and 31. 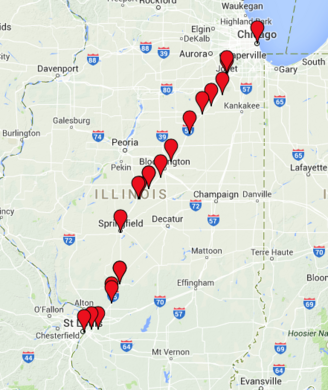 Starting in Chicago and ending at Chain of Rocks Bridge in Madison, Illinois. Overnight in Litchfield. $10 per person. All sales final.